Katatonia have been making incredibly moving, meaningful music longer than some of their fans have been alive. From their debut “Dance of December Days” to their breakthrough and well-honored “Brave Murder Day” all the way up to their great new record “Dead End Kings,” the band has been making timeless music that mixes elements of doom, metal, goth, and many others, and making a discipleship that likely would be willing to take up arms for them. The band – including vocalist Jonas Renske, guitarists Anders Nyström and Per Eriksson, bassist Niklas Sandin, and drummer Daniel Liljekvist — sounds in excellent form on “Dead End Kings.” The music is melodic and elegant, there is both crunch and emotional heart, and it’s a very natural progression from 2009’s “Night Is the New Day.” We were lucky to get Katatonia co-founding member Nyström to answer some questions about the new record, the band’s creative process, and what, if anything, their status as genre legends means to them. Meat Mead Metal: The new record is called “Dead End Kings.” What’s the meaning behind the title? Anders Nyström: It hints at the position we’re currently at in our lives and career. We’ve been going for more than 20 years now, which is a long time indeed. And because of that fact many people expect us to be more successful in terms of fame and fortune. What they don’t realize is that just keeping a band alive for 20 years is the achievement of success itself and also having the firm belief to follow your own vision without compromising and conforming to other people’s demands and expectations would make you a king in what people would just define as a dead end. MMM: What was the creative process like for the album? Are these songs that have been in the works? Are they studio creations? Bit of both? AN: Yeah it’s hard to draw a line between the writing and recording process. It’s all integrated into each other and that’s the way we like to work. It keeps this certain kind of magic to the whole workflow. Of course we always come up with fragments and ideas between albums, but we never sit on an entire album written long before entering the studio. The arrangements are always done as the last thing just before we dig into the studio time while many of the riffs themselves might have been written a long time ago, so I’d say the songs aren’t complete and finalized until we mix. A lot of things can and will happen in the studio. The gut feeling is mostly always right. MMM: Much of the record seems like quite a natural progression from “Night Is the New Day,” yet there seem to be some heavier callbacks to earlier albums? 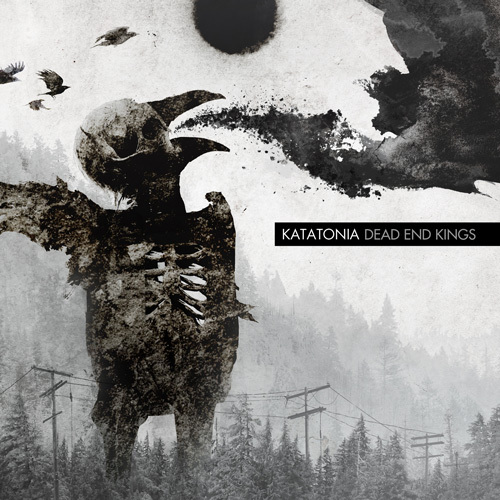 Was that intentional to kind of visit different eras of Katatonia, or is that just how things came to be? AN: I think the heavier elements seen on the album might be because I wrote more than I did on “Night Is the New Day.” Jonas usually writes more in the lush, almost folky melodic vein, and I write more direct and heavy. It’s this blend that makes a great Katatonia album come together and adds a long-lasting variety and rich dynamics to it. MMM: Melody certainly always has been a major trait for Katatonia. How deliberately does the band pay attention to making sure the songs have strong melodies and parts that stick with the listener? AN: It’s the whole key element basically, it’s what will leave an impression and make you remember a song, but we work a lot on avoiding the cheesy generic hooks, and we’re also tripping the melodies as sometimes the “less is more” outshines complex work. We don’t want our melodies to sound too obvious. I don’t like when people can guess the exact note after another like an obvious pattern, which is easy to do with most songs being played on the radio. You know what’s gonna happen, and it doesn’t need your attention. Our melodies should have a few unexpected turns mixed with the hooks. That’s what makes the difference between a stone and a diamond. Major and minor chords also play a dramatic role for the climax of the song. MMM: As noted, despite the songs that have more of that “Night” feel, you guys have tossed in some barbs. Something like “Buildings” and “Dead Letters” are much grittier and more aggressive. What inspired these songs? AN: It could very well be that the live performance scenario kinda subconsciously rubbed off on me while I wrote those two songs. I think they’re gonna be pretty awesome to perform live ‘cuz you gotta love the grit! MMM: You worked with Silje Wergeland of the Gathering on “The One You Are Looking for Is Not Here.” What about her fit this song? Was this written with her in mind? AN: No the song was written before we made up our minds to invite a guest singer. It was while listening to the demo it just dawned on us we needed another tone in the vocals to color the chorus and also the little backing theme in the verse. So we joked about being called a “gothic metal” band for 20 years and not even having had female vocals at any point, so here was a perfect moment to embrace it. I love the outcome, and I hope we can perform it live with Silje sometime. MMM: Considering the creative shifts and turns Katatonia have gone through over the course of the band, do you ever worry you could lose longtime fans if you go too far away? Or do you simply just follow your heart and do what’s right for the band? Is there a happy medium? AN: I never ever worry about losing a listener. If I’d keep that concern in a corner of my mind as I compose music I’d be deceiving myself. 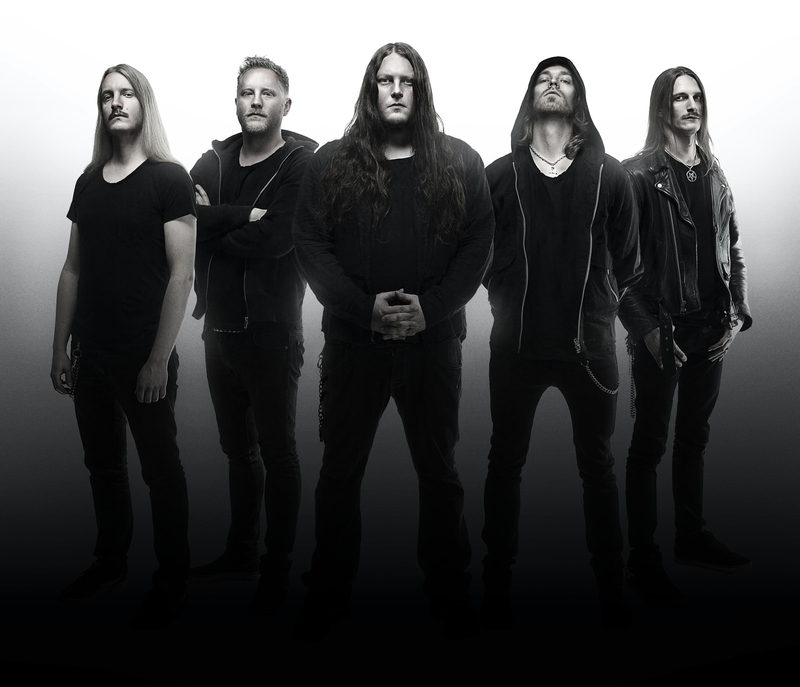 Katatonia’s vision, whatever it is, has to lead the way, everyone else such as ourselves, the label, the fans, the media, yeah, the whole goddamned wheel just has to spin and follow where that goes. MMM: You have worked a long time with Jonas as a creative partner in Katatonia. What’s your creative relationship like? Do you still surprise each other? AN: I think the importance is that we agree and think alike on artistic decisions, but we do not necessarily take the same route to get there, and how we reach the goal and that’s what defines Katatonia and the labor is what turns into the albums. We both love writing music. I think these days we both consider ourselves songwriters more than him just being “the vocalist” and I’m being the “the guitar player.” When we write songs we do it for all instruments, and we’re also the two people that produce our albums, so we’ve a lot of cards to play and occasionally we surprise each other by shedding different light on common ground. MMM: Doom metal certainly seems to have spiked in interest in the States, and many bands cite Katatonia as a major influence. Do you guys ever take time to think about your legacy? What does you longevity and influence on the genre mean to you? AN: It’s always flattering when you hear another band cite Katatonia as a major influence, but I find it pretty difficult to put into context of our legacy. To me, I’m still just that kid who wanted to play guitar and be in a band and I’m busy travelling the road still discovering and exploring things myself. We’re ALL just fans at different stages on the ladder. MMM: Out on tour with another landmark doom act in Paradise Lost. Did you pick them for this tour, or was this package determined by other forces? What will it be like to share a stage with them in America? AN: It was Andy Farrow, our manager, who put the package together, as all the bands on the bill are actually under the same management. I think the bill is amazing! I know a lot of people who would have killed for this line-up to come to Europe as well, so all you Americans should consider yourselves lucky. I know I do!